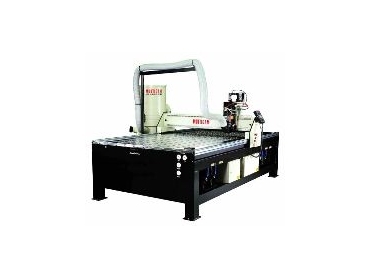 MULTICAM Systems will feature its range of CNC routing machines, flat bed routers, CNC tooling and cutters suitable for flat sheet processing, cutting, profiling, machining of acrylic, plastic, aluminium, aerospace, composite materials applications. The machines are rigidly constructed and incorporate an advanced controller optimised for ease of use and speed of operation. Low operating costs combined with minimal servicing requirements means that the Multicam is a viable alternative to plasma and laser machines. Process areas range from 2400mm x 1200mm and can be supplied with a choice of either T-slot or vacuum hold down. A range of high precision ceramic bearing HSD spindles or Perske spindles can also be supplied. Spindle types include collet type to quick change ISO30 ER32 holders. All machines can also incorporate a fully automatic tool changer to further increase machine versatility. Multicam Systems is at stand E20 in the Austech Pavilion at National Manufacturing Week 2005, in Melbourne, May 10-13.